Brenda José, my Twin-Soul, studied a lot about angels, and used to talk and pray to angels daily. After the first few years of marriage she declared that she will not be reborn or come back to Earth as a human being. In our last conversations when she came and stayed with from 08.10.201 to 21.10.2013, she again told that she will not come back as a human being. What I was not aware was she would come back as an angel. Then I surrendered to her at 5:20pm “Ok ok I surrender. I’m just your instrument tool”. She said “If not I not going”. 3 minutes later after I surrendered to her and God she left us at 5:23pm. The very next day after her death, I noticed that my writing had changed. I felt a strong presence of Brenda and that I was channeling her spirit in some of my writing. Brenda has become the Angel of Unconditional Love. By the end of the day I censored the angel statement as I thought some friends or graduates may freak out about this. Then some friends told me they also recognize Brenda as the Angel of Unconditional Love and that I’m Brenda’s only channel. On 19.01.2014 I had a strong urge to post a prayer request to Angel Brenda. The posting had 882 likes, 65 shares, and 56 prayer requests – the most response of any posting I ever did. I was pretty stunned that there are online ‘strangers’ who believed in Angel Brenda. I closed the prayer request after a week. On Monday 28.07.2014 I had a most deep and spiritual conversation over Skype with Craig Santy, an Italian American strategic media consultant and TV producer and my business partner from L.A.
Craig has been around the world 4 times. As an investigative journalist, TV producer, and film branding he had “seen it all” i.e. miracles, evil (he covered a series on exorcism in Mexico), and scientific breakthroughs. 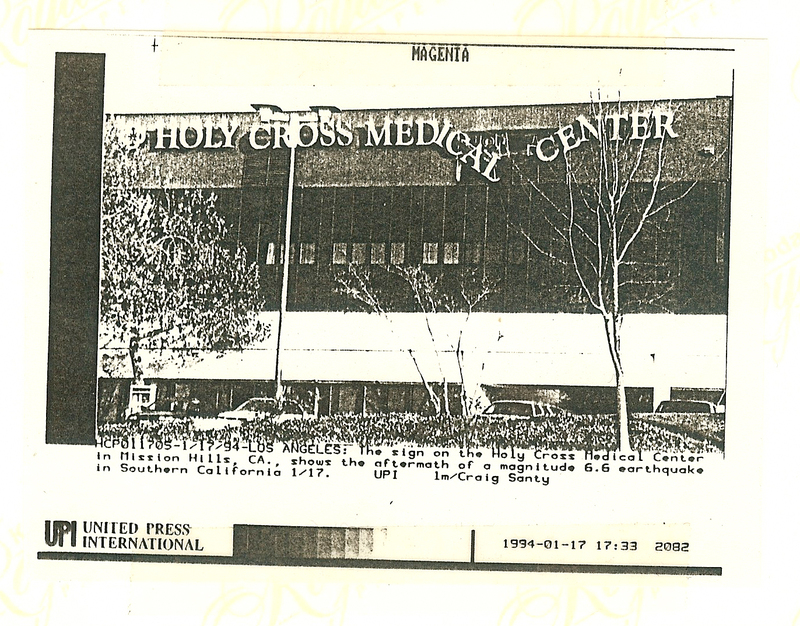 Craig Santy covering Bill & Hillary Clinton in the 17.01.1994 Northridge Earthquake. 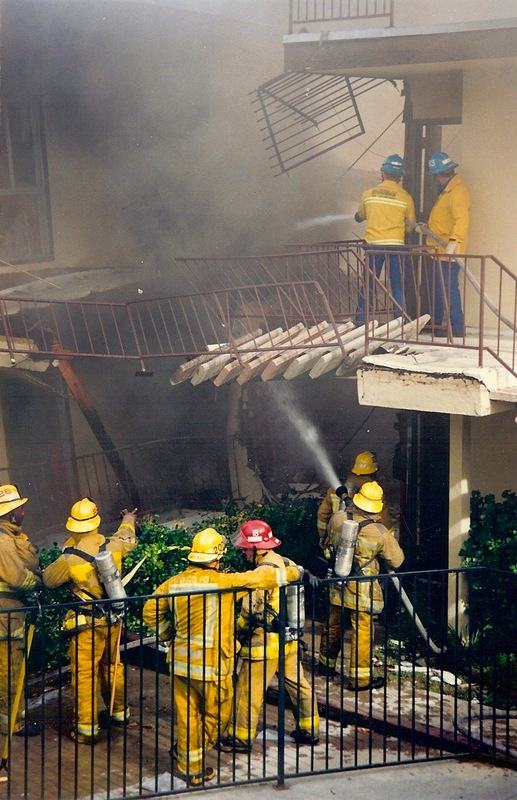 Photographs taken by Craig Santy as a photo journalist in the 17.01.1994 Northridge Earthquake. 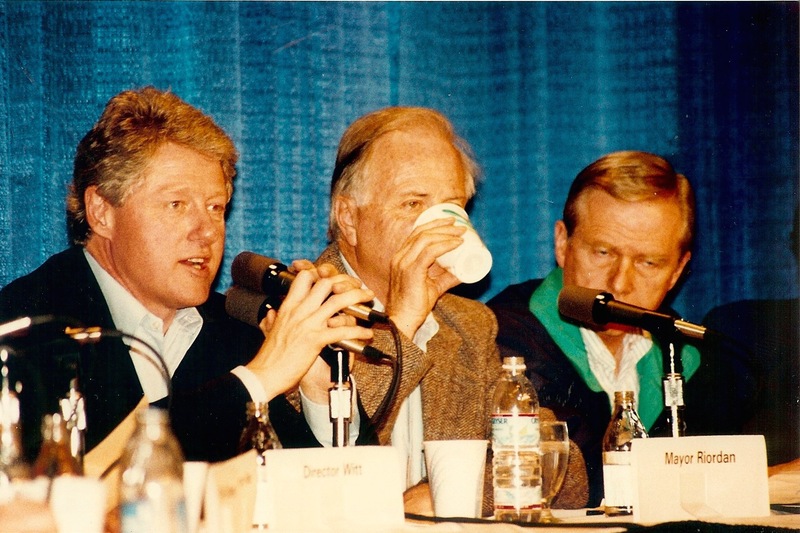 He covered President Bill Clinton and Hillary Clinton as a photo journalist for UPI (United Press International) during the 17.01.1994 Northridge earthquake and was sitting in the same limousine with Hillary Clinton heading for a crisis press conference. He holds a masters degree in Journalism from Columbia University, an Ivy League university. Our conversation centered around making sense of what are the roles of Brenda is playing as The Angel of Unconditional Love and other global and spiritual trends. I felt the conversation was like the conversation between Joseph Campbell and TV journalist Bill Moyers in the 6-part PBS TV series on “The Power of Myth” where the both them explored the fascinating world of mythologies. First off, I revealed that Brenda had been sending intensively a series of afterlife signs after MH17. Craig on the other hand had also been getting a intensive series of Brenda’s signs. Craig hardly get any spiders in his house but for the last 3 months he’s been getting spiders and ravens that were right on his path. 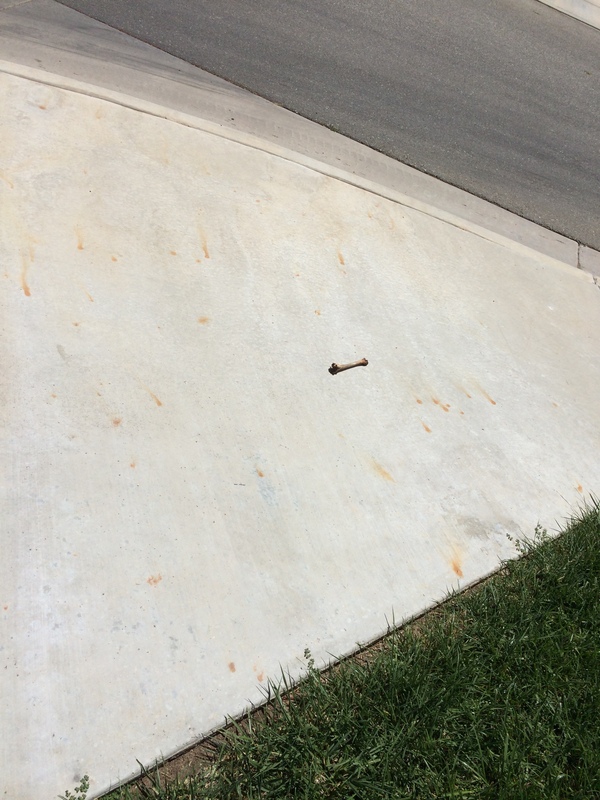 For example he came across a clean bone in front of him while walking his dog. The bone was in the middle of nowhere with no other bones or trash around it. His dog which normally will go for any bone did not even go near or sniff the bone which he felt was even stranger than a bone in the middle of the pathway. This is 10 minutes after seeing a spider in his house. BTW, Craig’s first ever Brenda sign was a spider which was unusual but he didn’t think much about at that time. To him it’s a clear sign from Brenda to ‘throw a bone’ or to give me a ‘small favor’ since he revealed that he had spent an equivalent of US$30,000 for the amount of time and research for our Chaen-Santy Media Group project. I’m very grateful for Craig’s ‘sweat equity’ from his heart contribution, and for Brenda for connecting us. I plan to bring him over from LA to KL in the new few weeks as Brenda’s signs are getting very intense. Both of us sense that there is something huge coming and that we need to be physically ready in Malaysia. The other sign that used to happen when Brenda was in physical form was objects would drop to draw attention to something. 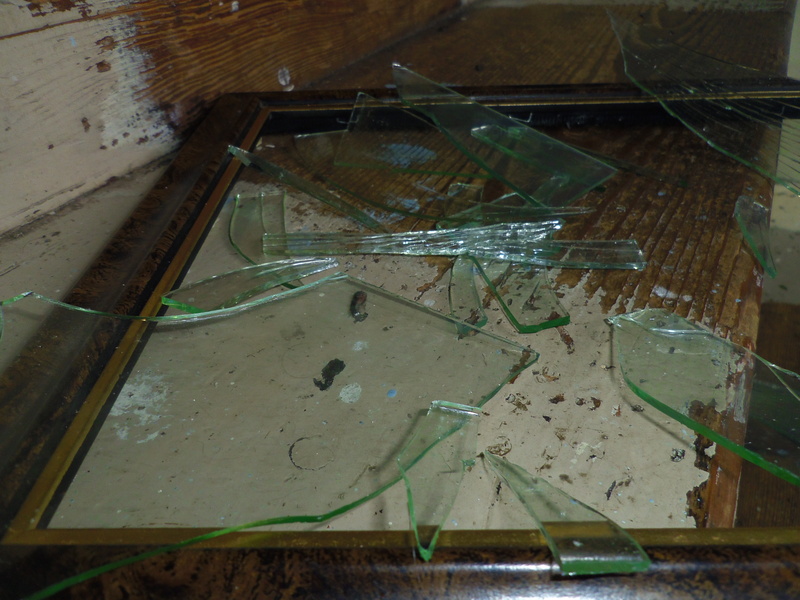 In one case 2 picture frames dropped, 2 clocks stopped, and other pairs dropped 2 weeks before a series of 2 of our workshops for 2 groups in the Royal Hong Kong Yacht club. But, it turned out that it was a premonition of the murder of Royal Hong Kong Yacht Club Marine Manager Judy Nip Ho Mo-ling. The mother of twin 9-year old boys, was found dead in her office in Causeway Bay at 6.30am on 17.12.2002. She was thought to have died at 10pm the night before. Her body lay in a pool of blood amid signs of a struggle. The cause of death was a stab wound in her neck. There were 2 graduates with Judy as their first name. And Judy Nip had twin sons. The premonition signs were patterns of 2 or twin occurrences. I was looking at the wrong place and did not ask the right questions. I could not decipher the premonition sign. I remembered Judy was a strong ‘alpha female’ and she really liked our workshop. In the last 2 days, all 3 the suction hooks in the kitchen dropped. This is the first time that all 3 hooks dropped. Then a unique spider movement appeared before my eyes. 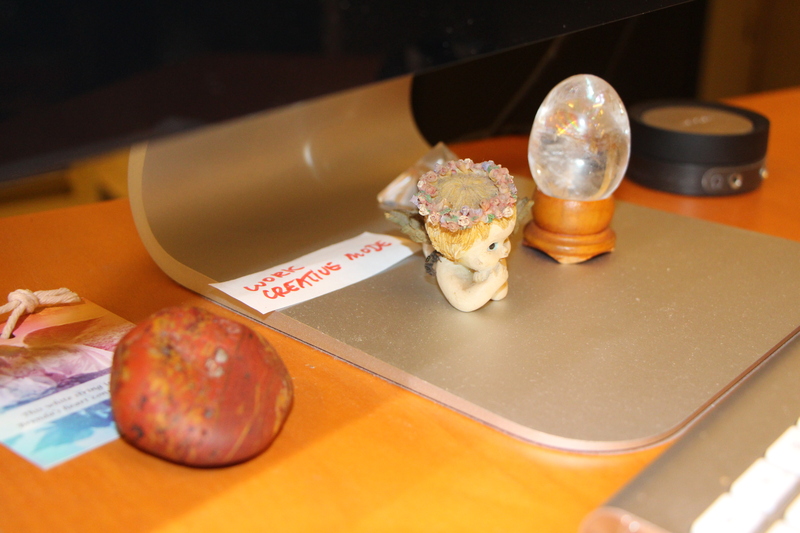 A small spider walked across the top of my Apple display from a red faceless girl object with a 3rd Eye which Brenda found long time ago and she would put it at her prayer altar to represent her. 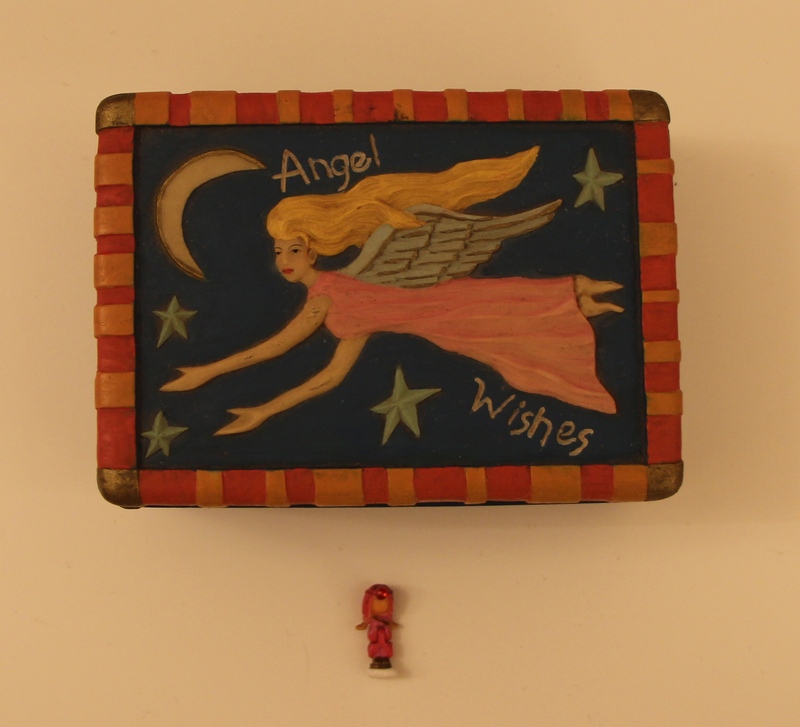 I recently found it in her Angel Wishes Box. The spider walked pass a BumbleBee Transformer toy and touched a tiny Kwan Yin, the Goddess of Mercy & Compassion. I do not worship idols but I love the symbolic meanings behind Kwan Yin. The spider jumped down from the screen to the Baby Angel’s crown of flowers, then to the Angel’s right shoulder (see the the pair of eyes) and onto Brenda’s Memorial gift on the left. It walked down the Apple screen to the bottom where the Apple logo was. Then it jumped directly onto the Baby Angel’s crown of flowers, and onto to Brenda’s Twin-Souls Memorial gift on the left. From the unique spider movement I knew clearly that Brenda wanted me to write about her as The Angel of Unconditional Love. 2 hours later. 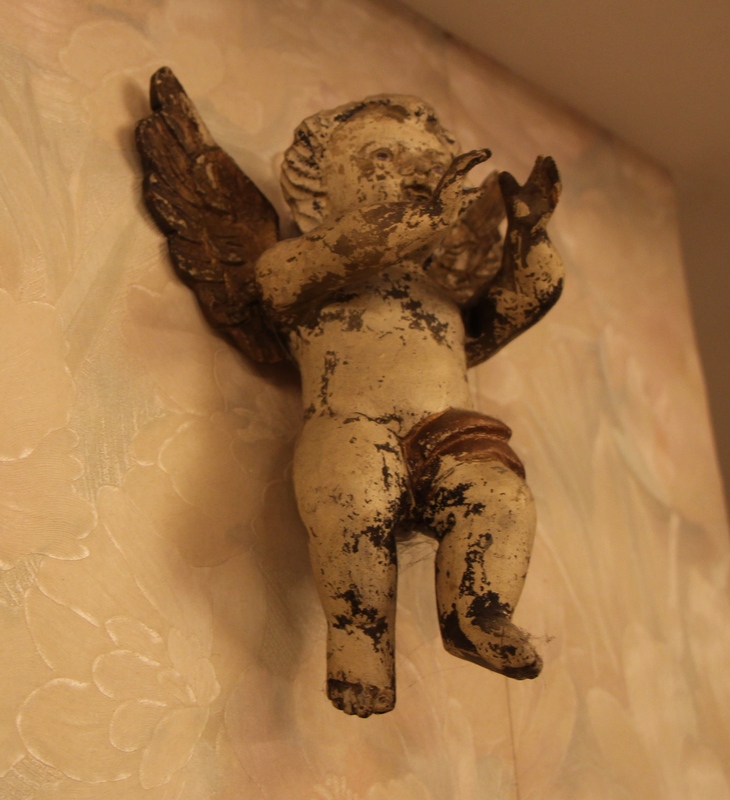 I have a pair of twin angels decoration handing high up on the front wall in the office. The left angel has a trumpet facing downwards, and the right angel is blowing a trumpet. 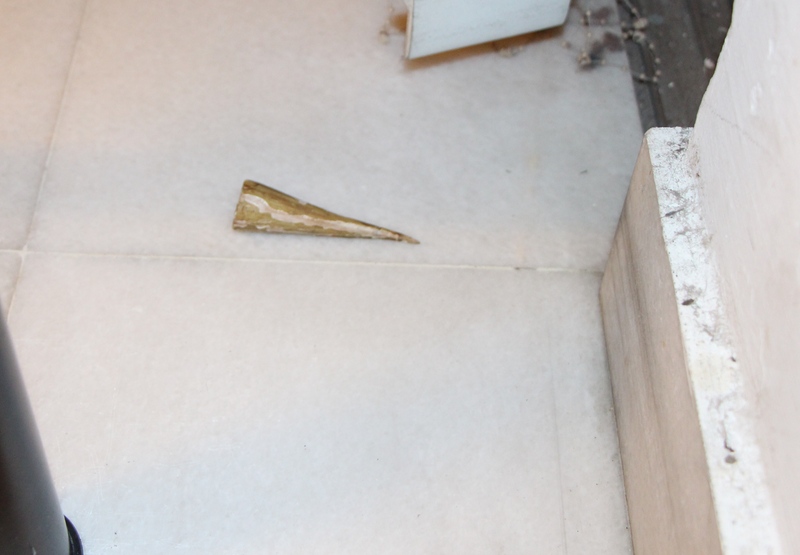 The trumpet of the right angel fell to the ground. To me a trumpet dropping from the right angel is very significant. 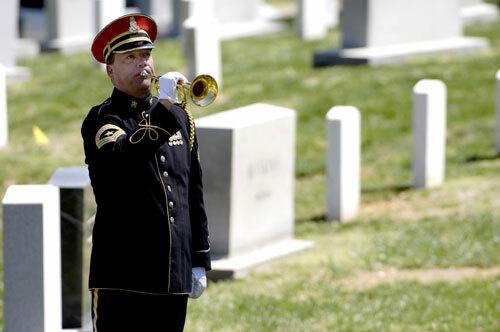 • The reveille: a signal sounded especially on a bugle to wake personnel in the armed forces. If Brenda is a messenger of God, then I’m a ‘a messenger of a messenger of God’. Angel Brenda will send her messages of incorruptible truth, and I will channel and interpret her revelations on universal truths. Some of Angel Brenda’s messages will not be “convenient” or will not come in a convenient time. Then Craig said he was very excited to produce some reality TV series and work with Brenda. He said 99% of working with people who are in touch with the spirit world are people with afterlife experiences or a spirit speaking through a human being. Craig said that he recognizes that Brenda speak through me, and that she speaks through other people such as office staff, friends, and strangers to me. That’s ’common’ in the spirit world. But Brenda is so unique. She can control things and life forms. NOTE: I writing a lot of details, documenting time and date log, and displaying photographic evidence for angelic phenomenon, afterlife research purposes, and most importantly to Decipher The Key to Angel Brenda Code. My guess is correct! Brenda had already mentioned twice in her present life that she would not be incarnated again on earth. I suspect she was an angel in her previous life and again now she is also an angel. You are considered to be very lucky to have a guardian angel with you!